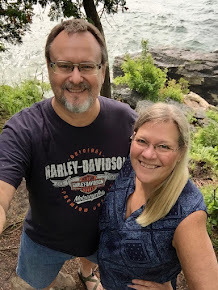 I find that when life is kicking into high gear, the last thing I want to do is sit down at the computer to blog. I am forcing myself to sit and get some of the projects I have been working on recorded, before more pile up and I get totally overwhelmed! Don't forget, you can find me on Instagram @aquiltingsheep. I do tend to post there a tiny bit more often. Lets jump right into it, shall we? One of the greatest perks of my job at Cotton Creek Mill is getting to play with fabric that I don't have to buy to make shop samples. It's the best of both worlds. This is the beginning of the Pretty Petals quilt found in the book Vintage Vibe using the Fresh Cut fabric line by Basic Grey. I also got to play with the new line by 3 Sisters called Whitewashed Cottage. Cluck Cluck Sew's pattern Shortcake using the throw size makes two nice sized baby quilts with only one orphan block left over. 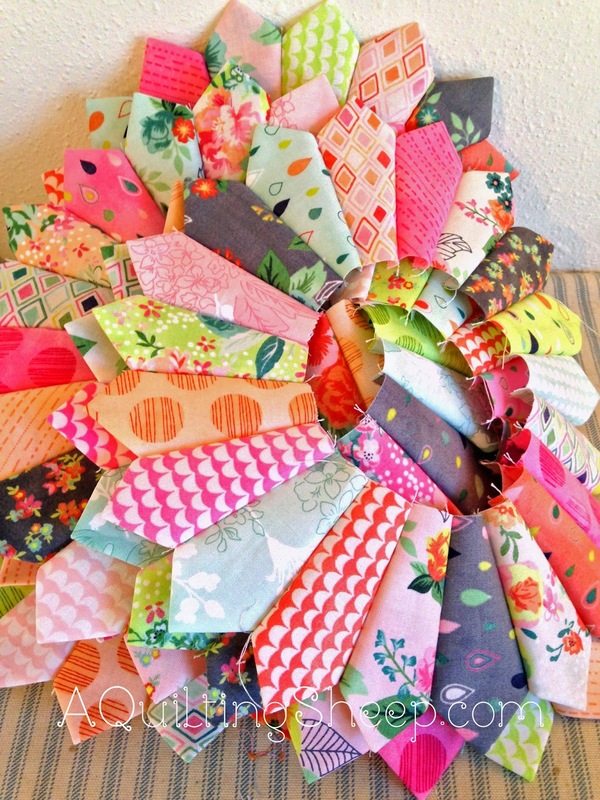 It's a great use of a jelly roll. 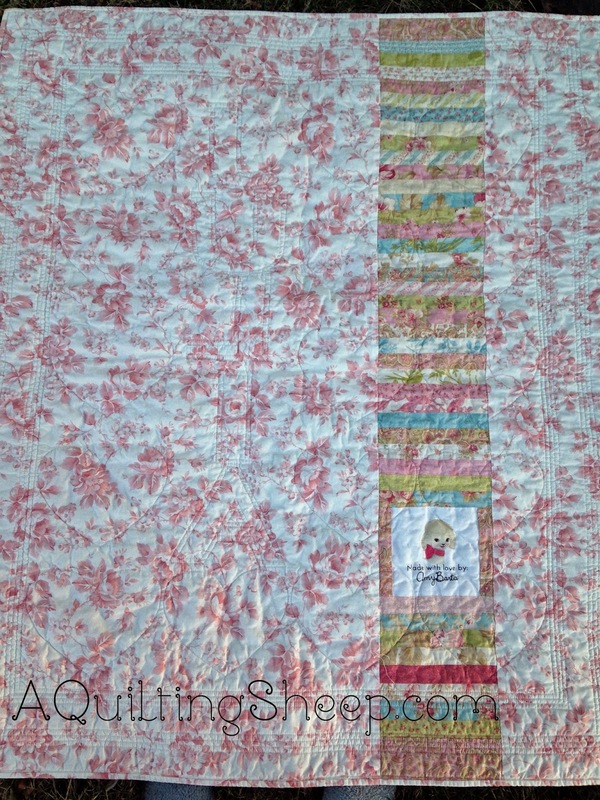 The flowers and butterflies are from Lori Holt's book, Quilty Fun. I framed the butterflies and squared them up at angles to give the butterflies movement. 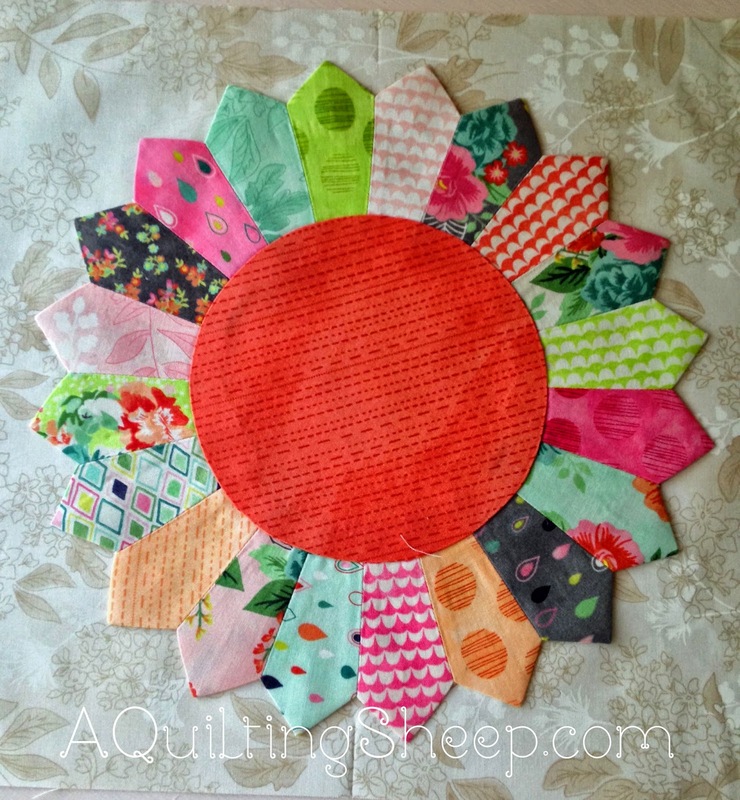 The heart blocks tutorial can be found on Cluck Cluck Sew. Letters are from Moda's Spell It With Fabric. For her new baby sister, I used an Aviary honeybun that has been in my stash for a long while. If you look carefully, you can see I quilted the baby's name into the quilt. I kept the quilting simple to keep the quilt soft. hey!!! these are beautiful projects! I hope someday i can work at a shop like you do because it sounds like it is so amazing. playing with fabric you dont have to buy!!! what? that is awesome. I have had my eye on that line and this may be the motivation to get it. I have been really good about not buying fabric since the beginning of the year. I missed out when it was the Daily Deal for MSQC. Your quilts are all so pretty. You are so clever and talented my dear. Hope you are doing well. I have been thinking about you. 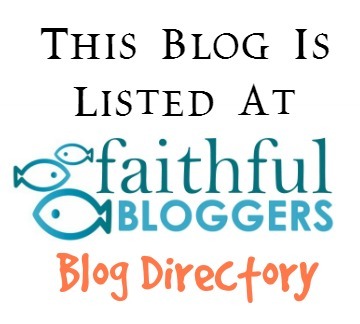 So happy to stop by tonight and happen upon a new post. We miss seeing your projects! :) These are all gorgeous and their recipients are going to be so excited. I may try shortcake myself one of these days. I was thinking about you. Great projects as per your usual. Love the story, bunny and back up bunny. 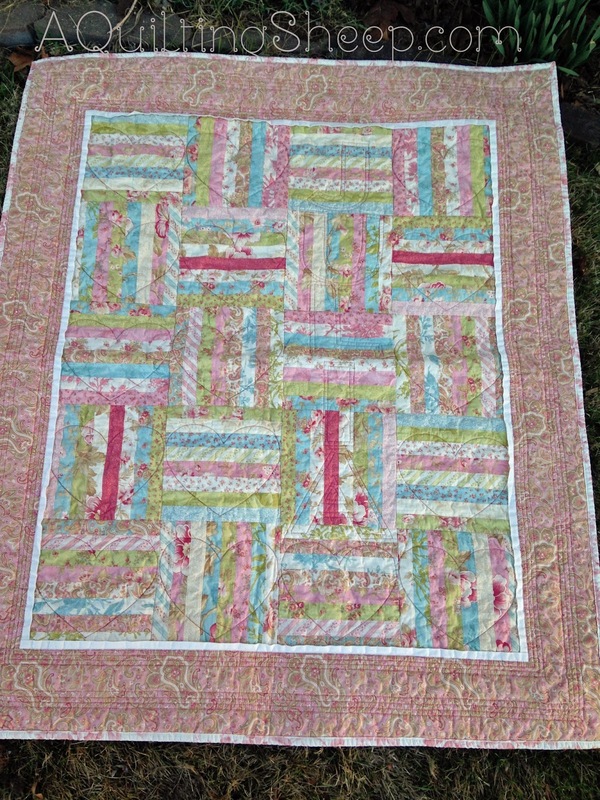 Gorgeous quilts for the little ones, they are sure to be treasured. Beautiful! 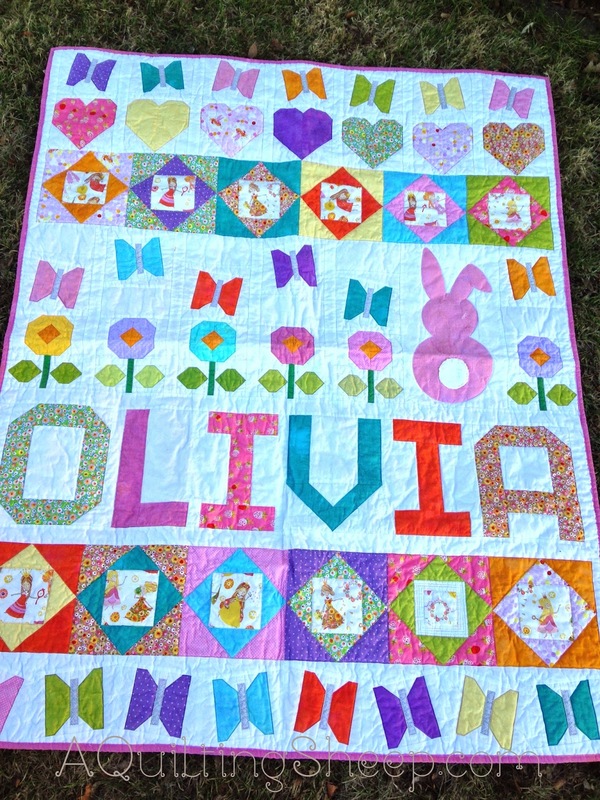 Love how you designed the Bunny Quilt and how you quilted the baby's name in the other quilt. Your ideas are truly amazing!! Thank you for sharing. Hi Amy, I love all of your projects. I love the baby quilts. and the dresdens too. Gosh you have been busy!! 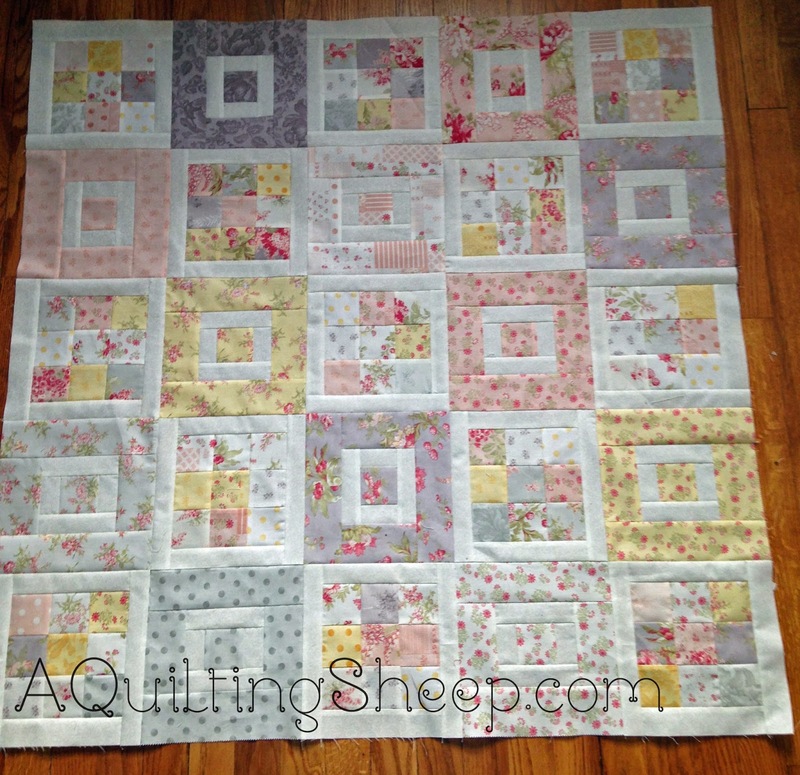 Gorgeous quilts...love the tip about less quilting makes it softer! Colors are pleasing to the eye. The little ones receiving these are blessed by your love and talent that go into your quilts! Many blessings to you, Amy! Wow, what some great quilts! I have missed your posts! AWESOME AWESOME AWESOME!! BRAVO!! LOVE OLIVIA'S Quilt!! yummy!! I love the way you made the butterflies fly. They look great that way. Olivia's quilt is just beautiful. Beautiful, Beautiful quilts! Oh how I would love to work in a quilt shop! But then again I would probably end up owing them money every pay day, lol. 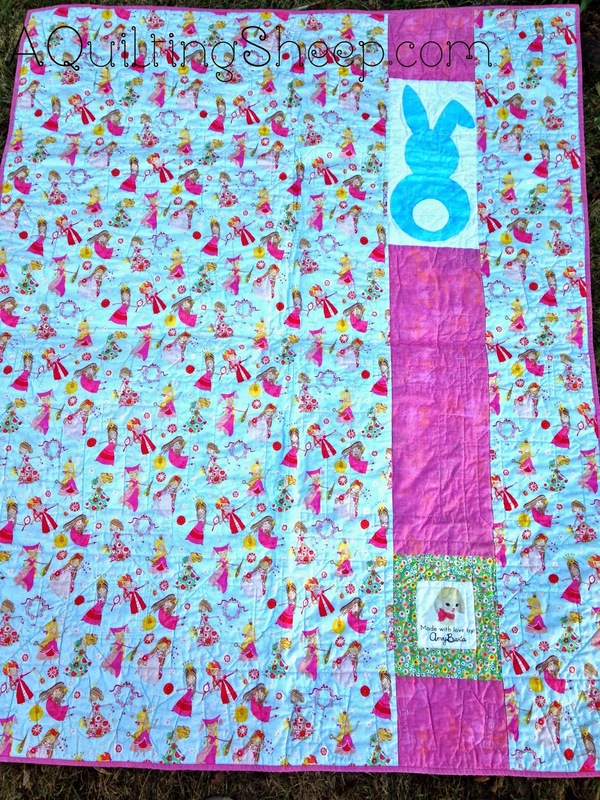 Oh you clever cookie, that baby quilt is stunning and so perfect - love Backup Bunny on the back!!! Your dresdens are gorgeous. I really like that Whitewashed Cottage line - I'm going to have to look for it. Very, very good to see you posting, Amy, you are missed! I love 3 Sisters fabrics--most of their lines, anyway. 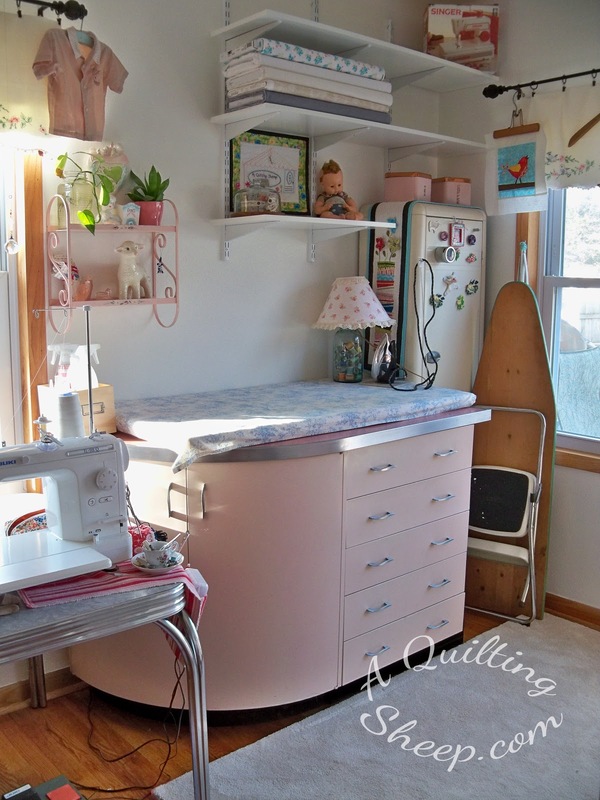 The cottage fabric is so sweet and the quilt will be so comforting!